Ratings are usually used as basis for comparison between two or more players. However, a big part of the community still doesn’t really know what this number represents. We’re here to break all the myths around this subject (and a few others) with our complete ratings guide for FIFA 19 Ultimate Team. What’s player ratings in FUT? 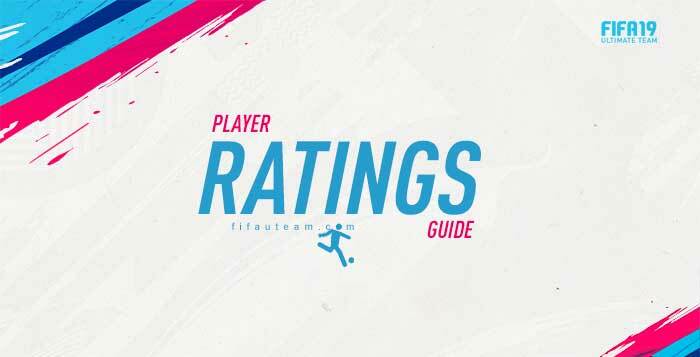 We’ve explained all there is to know about squad ratings here, and now it’s time to talk about FIFA 19 player ratings. This is quite a sensitive subject for most people in the community still have a lot of misconceptions about it. Let us start from the very beginning. A player’s rating is represented by a number on his card, which varies from 1 to 99, whilst 1 corresponds to the worst situation possible and 99 the best. Each card has only one rating, but the same player may have different ratings if he has more than one card. Except for the Ones to Watch and Road to the Final, both being Live Cards, the rating that shows on a player’s card will never change. Okay, so far everything seems simple enough. The problem is when we try to answer this simple question: what is player rating? If you answered ‘it’s a number that measures the player’s quality’, well, you’re wrong. Rating doesn’t tell you how good a player is at all. Overall rating isn’t even some kind of average or reflex of all the attributes. It tells nothing about the player’s technical, mental and physical attributes. Sometimes, players with lower ratings can be better choices for your team. The rating is, in fact, a number that evaluates the player’s potential relatively to a determined set of attributes, according to his position in the field, and that also takes into account his popularity and the environment he’s in. Confused? Don’t worry, the guide that you’re about to read will clarify all your doubts. ✔️ Gold, for ratings superior to 74. In general, the gold cards are better than the silver ones and these are better than the bronze ones. But not always. The problem with rating is the same as with any other thing that tries to be the simplest and most general possible, which is what happens with the quality of the cards: it is inaccurate and induces people into error. We’re not saying rating shouldn’t exist, after all it’s important that there is some information accessible to anyone that’s looking at a determined card. We just cannot forget that one player is characterised by dozens of attributes that can’t be summed up in a single number, especially when the importance of each attribute varies according to many factors, such as play style, formation, position and the team’s constitution itself. It’s way too subjective to compare two players just by looking at a number that doesn’t even take into account most attributes but does take into account something that has no practical effect inside the pitch (yes, we’re talking about International Reputation, we’ll explain that later on). As we’ve explained, you shouldn’t just look at the ratings whilst choosing the players for your team. Each player has 36 attributes associated with him, and they are the numbers you should be paying attention to in order to make your decision. However, unless you’re already an experienced player, analysing so many numbers can be a bit of a complex process, especially if you’re comparing two or more players. That is why EA decided to make it all simpler by introducing in each card six basic attributes, which are no more than an average representation of these 36 attributes in just six numbers. 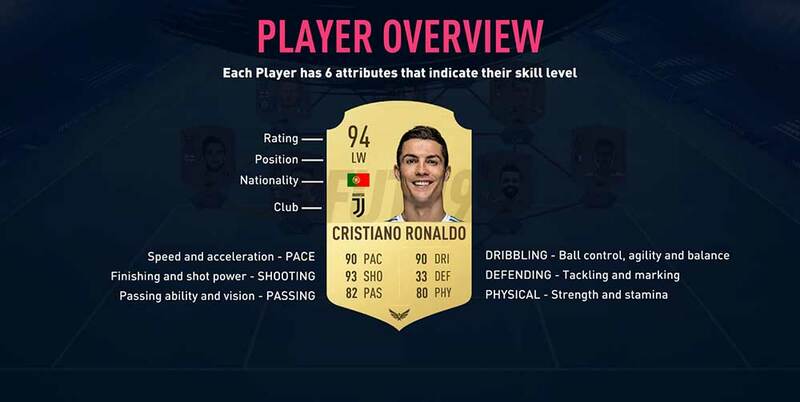 Although this is still not the most accurate method to analyse a player, it’s how most of the community does it, since it’s more accurate than just looking at the overall rating and at the same time much simpler than having to look at all 36 attributes. The face stats are those six numbers that every player has on his card under the photo: pace, shooting, passing, dribbling, defending and physicality. By taking a look at them you could have a general notion of the player’s characteristics, but it’d be even better if you knew what each one of these attributes represent exactly. Relatively to the player’s overall rating, which is the main theme of this guide, we can say it is NOT based on the six basic attributes but on another selection of attributes, which we’ll be seeing next. 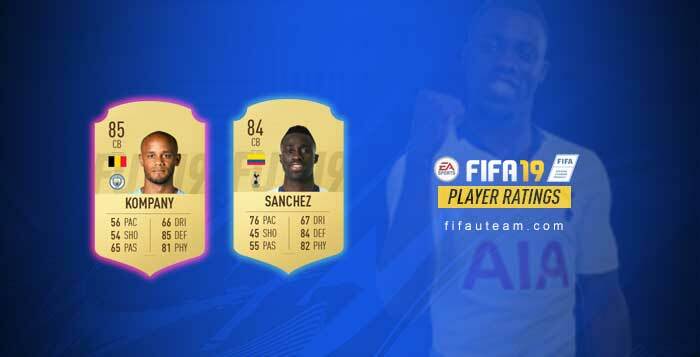 How is the player ratings calculated in FIFA 19 Ultimate Team? Probably you still don’t understand what exactly the overall rating is made of, but as soon as you understand how it’s calculated, everything will be clearer. A player’s overall rating is the result of two parcels added up together: one is the weighted average of a certain selection of attributes; the other refers to International Reputation. As you can see above, the rating is calculated by the sum of the weighted average of attributes with the international reputation. But after all, what is this second parcel? International Reputation, also known as International Recognition, is an attribute that affects the player’s rating according to his club’s local and international prestige. It is based essentially on the popularity, history and results of them both. Basically, IR was created in order to adjust the players’ rating relatively to everything that doesn’t actually have to do with his technical, physical and mental capacities. It converges artificially so that the players who have the most fans around the world always get the highest ratings, but in practice there is no real effect. Such as what happens with weak foot and skills, the players are evaluated relatively to International Reputation on a scale of 1 to 5 stars, so if there are more stars that means the player has a better reputation. If you wish to know how many IR stars a certain player has, you can always consult some type of database that provides this information, such as FUTBin, FUTView and SoFIFA. To make things clearer, let’s take Luís Suárez as an example. How can this be done? We’ll explain. This value equals 88 when rounded down. If we add to this value the 3 points from his 5 stars of International Reputation, we get the final overall of 91, which is what shows on his card. If you have any doubts, don’t hesitate to leave a comment and we’ll try to answer you asap. We have explained how the overall rating is calculated for NIF cards. Now, it’s time to take a look at what happens to the other FUT cards. As you probably know, there are rules to specify how ratings are assigned on IF and most of special cards: 75>81; 81>84; 84>86; 84+ go up one point. In the case of POTM cards, they go up the equivalent at two upgrades. As it is easy to understand, this limits the stats that can be upped for each upgrade. This value equals 89 when rounded up. If we add to this value the 3 points from his 5 stars of International Reputation, we get the final overall of 92, which is what shows on his card. As you can see, he can only be upped to a point where his overall is below 89.49. His IF goes up by 25 game stats but only 12 points are relevant to a striker. EA can give the upgrade they want on any stat, except the ones that count to the rating calculation. Depending on the regular card rating, the upgrade may be higher or lower. Now that you already know how face stats and overall rating are calculated, it’s time to show you how much an in-game stat from an IF/special card goes up according to the face stat. As you can check for yourself, these are the in-game stats you can find in his IF1 card. Now, let’s suppose that EA gives him a +2 boost in Shooting face stat, instead of +1. Would this be OK? Let’s see. Applying the same formula, we find out how much would be his shooting in-game stats for his IF1 card: Positioning 94; Finishing 96; Shot Power 87; Long Shots 86; Volleys 89; Penalties 86. Replacing these new values on the ATT formula, we find out that with +2 in shooting face stat, his final overall would be 89.39 (without international reputation). Since it’s lower than 89.49, we can conclude that it would be OK to receive that boost. 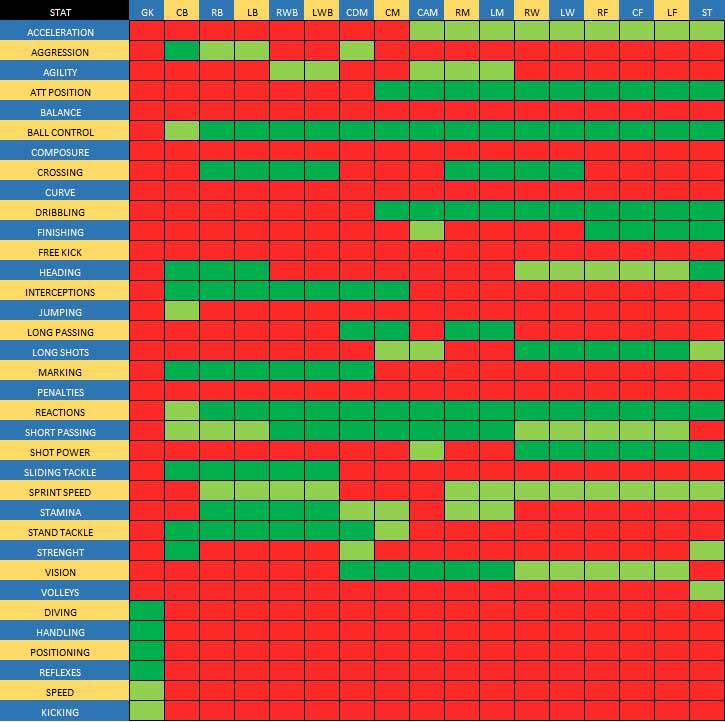 The important point here is to make you understand how overall rating, face stats and in-game stats are all connected. Now that you’ve realised how everything works, it’s time to reflect on what we’ve said so far. Let’s think of some things that people have already accepted as true, but turn out not to make that much sense. Let’s start by discussing everyone’s impression on the official ratings that are announced just before the game is released. Since Suárez has an overall rating superior to Lewandowski’s, everyone rushes to the conclusion that he was better than the Bayern’s striker. Well, one thing doesn’t necessarily mean another. Having higher rating doesn’t mean he’s a better player. Ratings are way too subjective, they can’t determine a player’s quality with accuracy. EA themselves contribute to the hype, releasing the supposedly top 100 players, a list that even compares players from different positions. Who, in their right mind, would allege that De Gea is worse than Suárez just because his rating is inferior? It doesn’t make any sense. This may seem repetitive but maybe a concrete example will help end all doubts once and for all. Say we have two players from the same position: Thiago Alcântara and Radja Nainggolan. The first one has an overall rating of 86, whilst the second has one point less. Which one of them is better? Comparisons will always have some kind of subjectivity, but for most of the community the Belgian midfielder is better, hence his superior price. The reason for that is simple: Radja is a ‘Man of Midas’, a much more polyvalent player. When EA try to transform their capacities into one number, they do it accordingly to the card’s position, CM. That means they don’t take into account a lot of extremely important attributes for a good CDM, such as aggression, strength and marking. Besides, there are attributes that are very appreciated by the community but weigh little on the rating calculation, which is stamina’s case, having Radja beat Thiago by miles. Literally. Overall ratings tend to underrate the most versatile players because they focus mainly on a single position. Not that we’d want to use them in other positions all the time, but having a CM that helps the defence is always a good extra. Overall ratings also ignore some major flaws the player might have. They don’t consider skills, weak foot, height, work rates or even some attributes: Balance, Curve, Free Kick Accuracy, Penalties and, believe it or not, Composure! These don’t go into the calculation for any of the positions, so players who are really good at them don’t get the attention they deserve. On the other hand, we have Reaction and Ball Control present in the rating of all players on the pitch. On the table below, you’ll be able to identify what attributes are most often considered for the overall rating. One of the problems we must always warn you about resides in the fact that we all tend to think of rating ahead of attributes. We were educated and trained to think this way. No one would pay for a TOTW card if it had the same rating as the NIF card. And when Ratings Refresh approaches, everyone wants to know how many points of rating some cards will gain. So many people often say things like “this player deserved this or that rating”. But what the hell does that mean anyway? None of this makes sense because the overall rating is merely a consequence of the attributes, not the other way around. When a card gets upgraded, we can only know for sure that it represents an actual upgrade when we look at its stats. An upgrade of one point of rating may represent in extreme cases a single attribute receiving a one-point upgrade. That’s not exactly interesting, is it? On the other hand, a player may maintain his rating and at the same time have several attributes upgraded on the new card (maybe even dozens!). The rating has zero importance on the pitch. The attributes, though, actually define your player’s potential. Lastly, let’s compare two other players that play in the same league: Vincent Kompany and Davinson Sánchez. The first player has a rating of 85, one point higher than Sanchez’s. Anyone who didn’t bother to read the whole guide and skipped right to this paragraph (you didn’t, did you now?) would probably say City’s centre back is best. However, anyone who’s tested them both is perfectly aware of how Sanchez is pretty superior. So if ratings are based on the important attributes for a certain position, why is it that it seems to be wrong in this case? The answer is very simple: international reputation. The Colombian centre back has only two stars of reputation which give him no rating bonus, whilst his teammate has four of them which end up giving him two extra points of rating. This means that Sanchez has indeed a base rating superior to Kompany’s (84>83) and that he has everything needed to be the best defender. We so conclude that, after all, the most popular players aren’t really as good as their rating seems to indicate, because sometimes they’re not even as good as some less notorious players with a slightly inferior rating. That is also why five of the six non-icon players with 5 stars of reputation have ratings considerably higher than most of the others. Hi Nicola. They are official. In fact, they changed 2 or 3 years ago but we believe they are correct. Are you calculating the OVR for their original positions or for the other ones? Hi Nicola. We have made your math for those two players and it looks that something is not correct. The weights for CDM and LW/RW are probably some kind of typos but we will need time to investigate the other weights. Thank you for your alert. Really nice Article Rodrigo, you really true Davinson Rules :-), I want to remark other players like Vogt rated 80 vs Tah rated 83, vogt have 1987 stats vs Tah 1694, but both have 2 stars of international reputation, Vogth is better on the pitch. Thanks!! Done. Thank you very much, Jorge.